Silver & Aqua Crystal Toe Ring Only $6.99! You are here: Home / Great Deals / Silver & Aqua Crystal Toe Ring Only $6.99! Toe rings are synonymous with life at the beach! You get them to accent your pedicure, your sandals, your outfit and your tan! 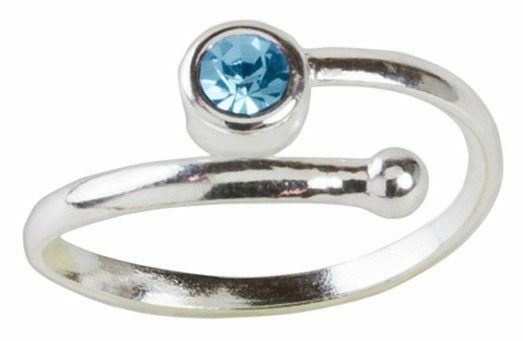 This Silver & Aqua Crystal Adjustable Toe Ring is Only $6.99! There are several styles to choose from to match your every Summer mood!